Having a home business is the nearly perfect career solution. There’s no commute, you don’t have a dress code, and you’re the boss of your day. Nevertheless, there’s also a big problem with working from home: You’re in a bubble. You likely don’t have physical banners, a brick and mortar establishment, or walk-by traffic. This means your entire profile and reputation exists online, and it’s dictated how you present yourself and your business. Fortunately, even if you’re working in your jammies, your online presence can be professional. Here’s how. 1. Make yourself look bigger than you are. There’s absolutely no reason anyone has to know that you have a home business. While there’s nothing wrong with it, and more and more people are okay with working with home-based companies, for some customers or potential investors, home businesses hold less credibility than traditional brick and mortar ones. Having a professional website will help. Getting a business mail box and a business phone line are other options. 2. Separate your home and office contact resources. Get a separate office phone number and consider getting an 800 number. Make your online contact form look just as professional as a major enterprise’s—including details about your “office hours.” While an 800 number isn’t a requirement for all businesses these days, it can be especially beneficial if you target demographics (such as older populations) that relate an 800 number to legitimacy. 3. Use professional quality photos. Whether it’s for your blog, business’ social media page, or on your website, steer clear of photos that are too personal. Instead, choose professional images when and check out high quality stock photography sites. A low-quality photo might give away how small your operation is and potentially scare off customers, and choosing the wrong size can damage the responsive design of your website. Did you know that B2B businesses that blog get 67 percent more leads than those that don’t? Simply put, good blogging leads to good sales. If you’re not a blogger, don’t fret. There are many quality ghostwriters available at affordable rates. In fact, it’s best to outsource this task so you can focus on your own priorities, especially since committing to a blog is almost always a full-time job in itself. Some business/site owners opt to write a handful of blogs themselves each month (kind of like a “letter from the editor” in magazines) while relying on contractors for the remaining blogs. 5. Make social media count. Your content on social media should have a decent ROI; it should be leading to increased traffic and sales. Not every post will have a lot of likes and comments, but keep experimenting until you see what people respond to. Most social media sites offer free analytics, which can help you know what posts offer the most results. If you’re struggling with determining what to post, or the time it takes, consider hiring a social media manager, at least to get you headed in the right direction. 6. Focus on SEO-rich content. 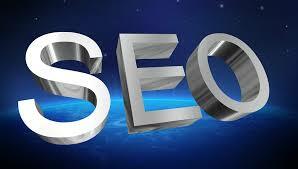 Content is the key to search engine optimization (SEO). The more your writing/content follows SEO best practices, the higher you and your business site will rank on search engines like Google. 7. Improve your website's experience. Regardless of the quality of your product or service, if your website is confusing to navigate, difficult to find desired information, or the shopping experience cumbersome, visitors won’t stick around. In particular, shopping cart abandonment (adding items but not completing a sale) is a big issue, and one that you can largely control, by making your website easier to use. 8. Overhaul your site content. Is it a huge job to re-write all your website content? Of course, but it’s well worth it if it’s 1) been awhile or 2) not well written in the first place. Better site content can improve SEO, navigation, and customer loyalty. and control your brand to be a success. Luckily, there are many tools, tips, and tricks at your disposal. Make presenting a professional image and experience priorities, and you’ll reap the rewards.